Attend webinars hosted by a team of experts who address topics including government compliance and recruiting. Webinars are complimentary and most offer SHRM and/or HRCI credit. Due to the lack of effectiveness in unconscious bias training, practitioners are realizing they need to do more. Employers are spending more money and pouring in more efforts, but are largely ineffective. The problem of bias is not new and the solution was already developed in the 1970s. 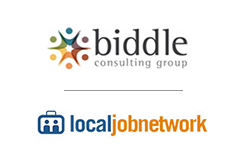 Join LocalJobNetwork and Dan Kuang of Biddle Consulting Group as we break down the challenges and solutions to preventing bias. To reserve your spot, click the "Register Now" button. Once registered, you will receive an email with instructions on how to connect to the webinar. The location of the webinar is at the comfort of your computer. All you need is an Internet connection and computer speakers or access to a telephone to hear the presenters. If you have questions, please contact us. 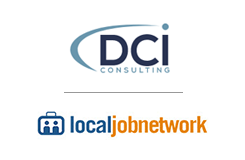 Join LocalJobNetwork with David Cohen and Amanda Bowman of DCI Consulting as we give you the details on what you should expect when it comes to Focused Reviews, especially the upcoming ones for Section 503. Plus, with the five year anniversary of the Section 503 data collection having just passed, we offer some reminders to contractors about what it takes to remain in compliance.